OMG, these were so much fun to make! 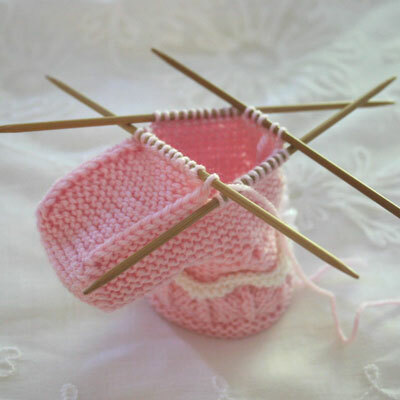 I’ve done so many adult-sized things lately that I had nearly forgotten the thrill that comes from the quick turnaround of knitting little babies’ things. Of course, I wasn’t looking for lightening speed – that plain old chunky knit, do-it-all-during-a-commercial kind of speed. No, that wouldn’t do; there had to be some fussing. And I had to put myself through the usual bit of mind bending to get things “just so”. But I got there. 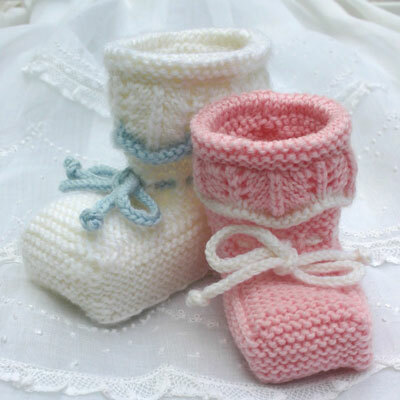 And here’s the result, my “Booties for a Special Day” which offer some special features to please fussy babies, fussy parents and fussy knitters, too. For us knitting fusspots, I worked things out so that there’s not a single stitch of seaming to be done and I did it in beloved Dale of Norway Baby Ull, which is always a treat to knit with. Of course, the moms (and maybe even a few dads) will appreciate that Baby Ull can be tossed in the washing machine. Plus, there’s a “stay put” lace cuff that is guaranteed to sit still and behave itself all day long. Isn’t it great to have special little touches that don’t require all-day fixing, flattening, folding…fussing? For those dear, fussy little sweethearts, I worked the joins so that the ridges are on the outside, where they’re actually decorative, rather than on the inside (where most designs put them) right where they can irritate those sweet, tender, delicious little footies. Can’t have that! Anyway, I hope you like ’em! Happy knitting! Kit comes with 2 full balls of Dale of Norway Baby Ull in your choice of colors, plus the printed pattern. Available through my Kidsknits.com site. 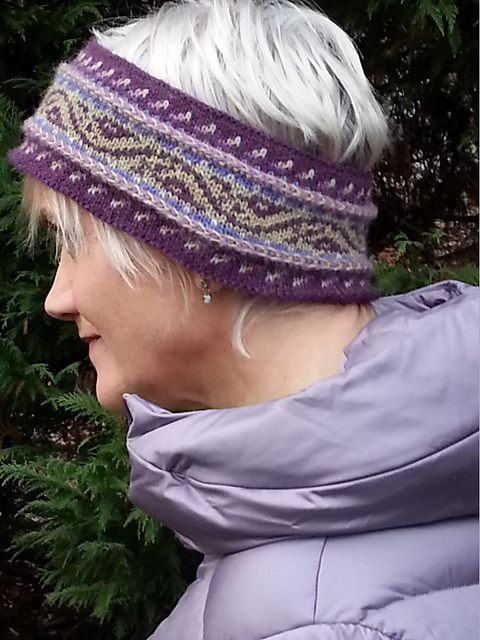 Personal-use knitting pattern PDF is available through Ravelry. This entry was posted in Knitting, Mary Ann's Designs and tagged babies, baby, baby ull, booties, circular knitting, cuff, Dale of Norway, Kidsknits, knit, Knitting, lace, layette, Mary Ann Stephens, newborn, pdf, slippers, socks, yarn. Bookmark the permalink.